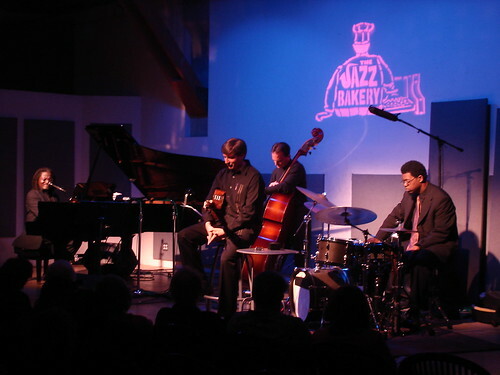 The Andy Bey Duo, featuring Paul Meyers on guitar will be appearing at The Jazz Bakery, 3233 Helms Ave. in Culver City on Wednesday, November 8 through Saturday, November 11, at 8:00 PM and 9:30 PM (two shows each night). Don’t miss the special magic that these two artists bring to the stage! Please call The Jazz Bakery for ticket information and reservations at 310-271-9039. If you missed Billie Holiday, Johnny Hartman or Bill Evans, don’t miss this rare appearance by the legendary singer/pianist Andy Bey. Come and hear for yourself what the critics are raving about. His latest CD, “American Song” garnered him a Grammy nomination for Best Jazz Vocals. For further information, bookings, press needs and interviews please contact Barbara Collin at 323-467-4702 office, 323-556-1046 mobile or collinartists@sbcglobal.net. This entry was posted on Friday, November 3rd, 2006 at 2:40 pm. It is filed under Music News/Info and tagged with Andy Bey, Culver City, jazz, Paul Meyers, The Jazz Bakery, vocals. You can follow any responses to this entry through the RSS 2.0 feed.